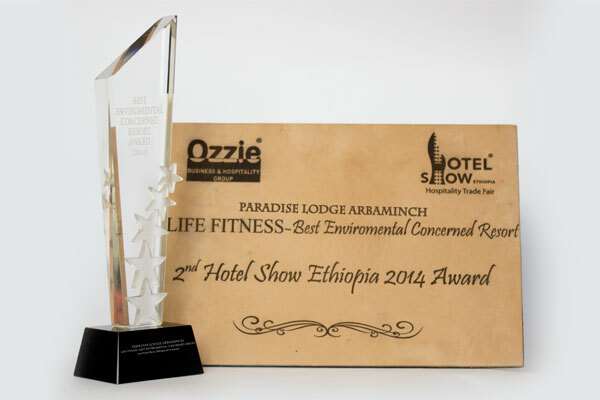 Paradise Lodge Arbaminch awarded for being environmental friendly hotel in Ethiopia. We would like to share this precious award with our customers, employees, Local governments, stake holders, the southern nations and nationalities – those who participated in building the lodge and the Arbaminch community at large. Beyond our hotels and restaurant operation, paradise lodge has green policy. With Reduce, Re-use, Recycle philosophy at the heart of our activities. We focus on Energy consumption, employee awareness, waste reduction, and Renewable energy. We thank every stake holders who participated and share this award with the global environment community at large.